Leesfield Scolaro reviewed more than 100 maritime/cruise ship cases during 2017 against all major cruise lines operating out of Florida, including Carnival Cruise Lines, Norwegian Cruise Lines, Royal Caribbean Cruise Line (Celebrity Cruises). We are now actively litigating many of these matters. The diversity of results is significant, including a $3 million dollar medical negligence recovery on behalf of a 16-year-old girl from Tennessee, a $2.5 million on behalf of a young boy from New Jersey injured on a ship basketball court. Our crew member cases include a $375,000 settlement for a 23-year-old professional diver who sustained catastrophic permanent injuries while performing in an aquatic show on board Allure of the Seas. Another recreational on board case involving injuries on the basketball court resulted in a $365,000 award for a 36-year-old passenger from Virginia. Cruise ships are now floating recreational and theme parks. Their activities range from basketball, tennis, dodge ball, to water slides, rock climbing, sky rides to jogging supplemented by exotic shore excursions. 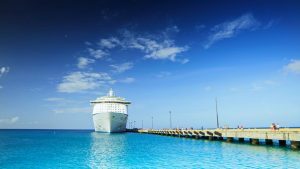 “The industry’s competitive nature has resulted in each cruise line adding more dangerous activities for passengers who are already exposed to shipboard negligence in the maintenance and care of walking surfaces and other pedestrian hazards,” according to Ira Leesfield, Chair of the American Association for Justice Resort Torts Litigation Group. Often overlooked are the substantial recoveries on behalf of passengers injured during excursions away from the vessels. See prior blog. Passengers purchasing excursion travels and onshore trips are exposed to additional hidden dangers. For instance, our firm has recovered $8 million for a Chicago mother and daughter injured while parasailing. $575,000 for the wife of a 59-year-old Texas man for injuries during a snorkeling expedition. $3 million for the New York family of a special needs young man killed reckless operation of a tour bus driver in a British Virgin Islands shore excursion. All of these activities were organized, supervised and sanctioned by cruise lines. Leesfield Scolaro’s recoveries on behalf of passengers from all over the country and worldwide have been noted and covered by numerous television reports, journals and legal publications for the past ten years. $165,000 award for of a Pennsylvania school teacher who fell on a slippery surface sustaining a fractured radius.